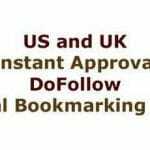 Top Social Bookmarking Sites – Are you looking for the best social bookmarking sites? Well, your search ends here. Social bookmarking work positively for the web pages, articles, blogs, videos and images and its effects are outstanding. There are n numbers of social bookmarking site, making it difficult for you to find the best. Therefore, we have for you the list of top Social Bookmarking sites . Social bookmarking sites has many advantages for the users who submit their on these site. It is very effective in increasing the brand awareness and making content viral. The other benefit of social bookmarking is that it helps in getting traffic over your content and help in indexing fast. You can use it well as a marketing strategy for your brand. Therefore, here are the best and the most popular Social Book Marking websites that can benefit you. 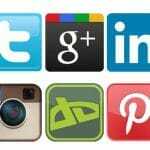 Here is the List of Top Social bookmarking sites. Pinteret.com has been quite a successful with around 70 million users. It becomes an important platform of marketing. If your target is women then this is the best place for you to market your brand. Pinterest has 80% women users. Isn’t it amazing? This bookmarking website is in the market from a decade now. This is currently owned by science Inc. If you get your link resisted here, you will get effect your page ranking instantly. If the users save it with a book marks you will get really good results. Want an excellent and effective traffic on your website or on a web page? 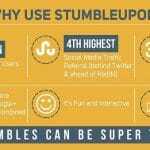 Stumbleupon is the best option for you. This ebay owned company ranked 8th on the Google. Currently it has three million users but and number of users are increasing on this. Your content can get the number of sharing on this site. This site has been ranked 7th on the Google. 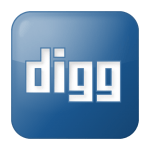 If you register your site on Digg then it help you well in improving the ranking of your site over social engines. This will you will get good traffic over your content. To get more readers and for increasing the brand awareness is what will help you good. It is the beat source for accessing the popular and all the latest content over the internet. It is simple to use and one of the most popular sites for social bookmarking. You can submit the link of the content or story that you want to share. Other reddit users can downvote or upvote the submission that you have made. The Newsvine was well known by the Top News site when was launched in year 2006. This site ranks the on the Google page rank which is very helpful in getting good ranks over the search engines and getting traffics. Users need to submit their own seeds along with the link of content that they want to share. This social bookmark site was one among the 5O best website by the Time Magazine in 2007. This site has 7th Google page ranks. This features the news sorties about science and fiction. 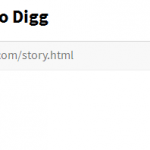 These stories have comment section in it that allows user to comment on it. It is the best platform for the bookmarking. Users can get good traffic by sharing their content over it. Scoop.it has more than 1 million users who are registered. This is best for the professionals, business and non-profits, and corporations. Users can choose between the options of free or paid plans according to the post you want to share. This is the very helpful in getting the good ranking over search engine and bring great tariff to the site. Social bookmarking is one of the most important part in OFF page SEO services. So here are the list of top social bookmarking sites which helps in ranking your website high on search results.